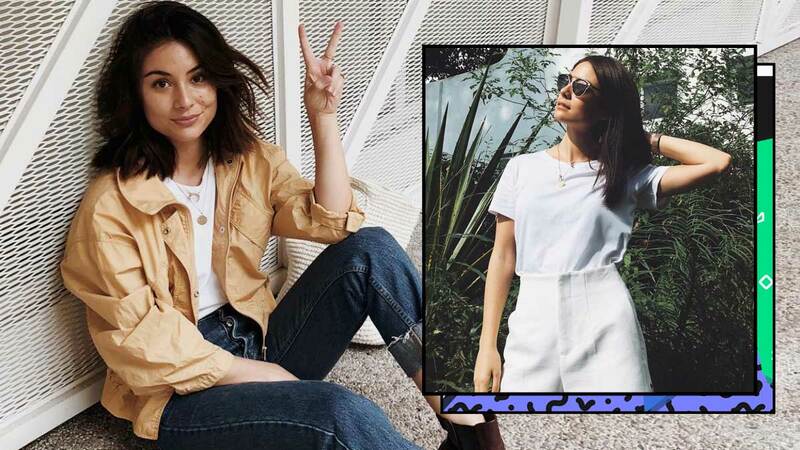 We’re all well aware that a white t-shirt is suuuper versatile, and Mari Jasmine’s ultra-chic OOTDs are a testament to that. Her looks are all pretty simple, easy to cop, and most of all, unbelivably stylish. The best part? You probably have all of the key pieces in your closet—it's only a matter of learning to match them. Going for a cowgirl look? All you’ll need are: a camel-colored jacket, cuffed jeans, and leather ankle booties. Dark trousers and an army green jacket? Works like a charm. But we’re also spotting a geometric earring on Mari, too! Plus, her white tote’s a statement in itself, too. But of course! You can never go wrong with a tailored suit in cherry red. Bookmark this for airport fashion inspo. This is proof that you can be comfy and put-together even in the most basic of basics. This look is spot-on and, well, spotless. Looove all the details of her OOTD! Her tailored white shorts does a good job of dressing up her tee. Pick a tailored piece such as a sleeveless coat dress, and wear your white tee underneath it. A causal tee to a ~kinda formal~ event can happen when styled correctly: with a midi skirt, pointy toed heels, and a jacket slung over your shoulders. Guess we’ll never get tired of denim shorts! Add a jacket and it’s at once a different look altogether. How about floral-embroidered denim shorts? Looks perf with the tee! Pile on whatever and it’ll still look good. A stack of bangles plus a pendant necklace and customizable earrings? Yep, keep them coming. Have a #coolgirl hat and watch for accessories. The combination is A+!